4K monitors with TN panels can be found for as little as $300 but if it’s an IPS panel you’re after, you’ll need to spend a bit more money. 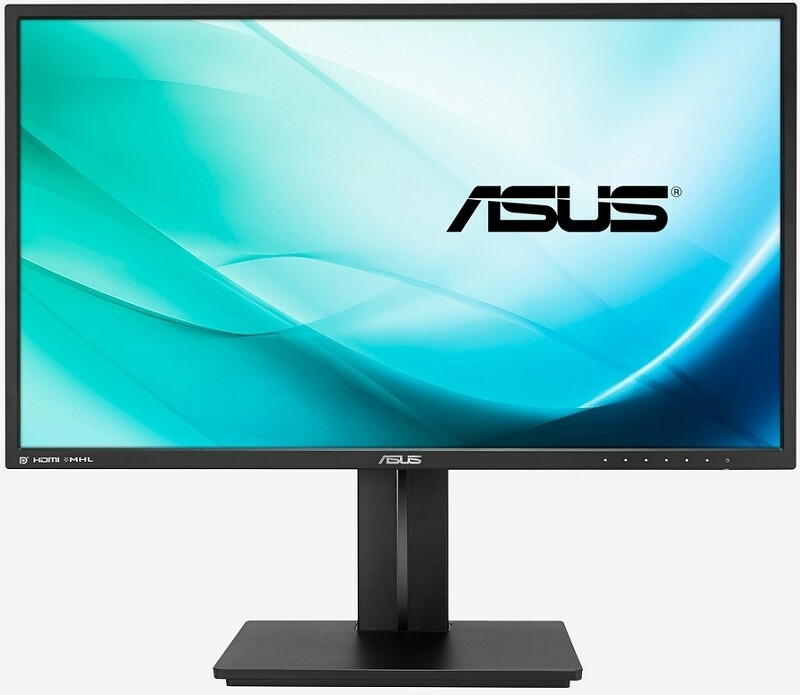 Asus’ latest 4K display boasts an impressive set of features like an IPS panel in addition to a reasonable price tag. The 27-inch PB279Q operates at a resolution of 3,840 x 2,160 (30Hz over HDMI / 60Hz using DisplayPort or Mini DisplayPort) and offers 10-bit color as well as 100 percent sRGB coverage which is a touch better than the 99 percent coverage that Dell’s latest IPS-equipped monitors offer. The Asus monitor also features a 5ms response time that, once again, is slightly better than Dell offerings. We find four MHL-equipped HDMI connections around back which, as The Tech Report notes, seems a bit excessive considering the limited refresh rate across HDMI. What it can do, however, is split each input into its own quarter of the screen so you can display four 1080p feeds at once (budget console LAN party potential, anyone?). There’s no USB hub but you do get 2-watt stereo speakers, a single DisplayPort 1.2 connector, one Mini DisplayPort 1.2, a 3.5mm headphone jack and a 3.5mm audio-in jack. Buyers will also get a fully adjustable stand (tilt, swivel, pivot) and a VESA-compatible bracket should you want to mount it on a wall or arm. No word yet on when it'll be launching in the US but when it does, expect it to check in at or around $799.